Restylane is a clear and soft gel-like non-animal-based tissue filler, which majorly comprises the natural sugar compound hyaluronic acid. Application of this injectible can help us fight against hyaluronic acid deficiency in our body that we experience with age simply by replenishing the skin with it. As a result, the lost volume and fullness of the face are restored, thereby making it healthy, toned and youthful. Restylane also helps in reducing the appearance of facial lines, contouring various facial features and eradicating unwanted marks. Restylane filler itself does not contain the local anesthetic lidocaine. Hence, the procedure starts with the application of an external local anesthetic in order to make the targeted areas numb. A number of ‘points of injection’ are determined and ‘scored’ by the doctor with a pencil marker. A topical antiseptic is also applied thoroughly. 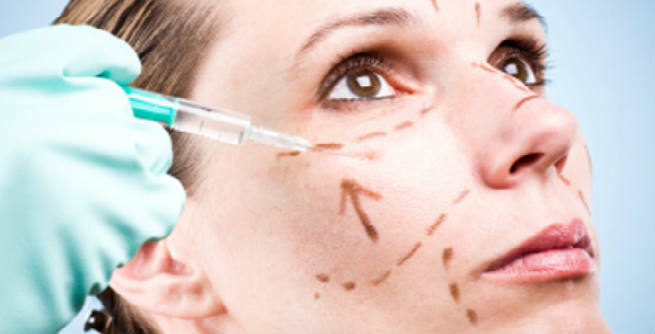 Then, the filler is injected underneath the outermost layer of the skin by using ultrafine needles. The hyaluronic acid present in it simply sticks to the skin and preserves water, which eventually fills in the facial lines and scars with new volume. The procedure may be 5 minutes to 30 minutes long, which is mainly depended upon the number of areas to be treated. The age of an ideal candidate for Restylane treatment should be anywhere between 35 and 60 years. She also must have wrinkles, fine lines, smile lines, skin folds or creases, acne scars, sunken eyes, depressed marks, undefined facial features like lip lines, cheeks, jaw line, chin, etc. that she wants to get rid of. 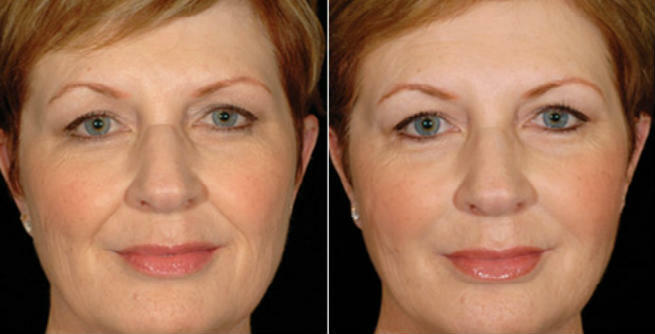 This procedure can eliminate almost 80% facial lines and scar marks, while adding volume as well as definition to the face. The full and final outcomes are visible in as less time as 1 week. It does not offer permanent solution to aging and you need to get treated every 6 months in order to maintain the results. A little swelling or redness can be there for the first few days. But this is only a temporary affair. Restylane treatment has zero downtime, which means you can resume your normal activities right after taking the injections. However, it is advised that you stay away from sun for the first couple of weeks. Some common risks and side effects of Restylane injections are swelling, redness, pain, discomfort, bruising, bleeding, headache, itching, nausea, muscle weakness, flu, bumps under skin, and so on. Gives amazing results for reducing signs of aging, sculpting facial features, adding volume to the face, etc. Helps define as well as contour lips, chin, cheeks, jaw line etc. Does not require an allergy test. Does not involve pain, bleeding, etc. The cost of a Restylane syringe can range from $350 to $800 depending upon the problem area and the amount of filler to be used.